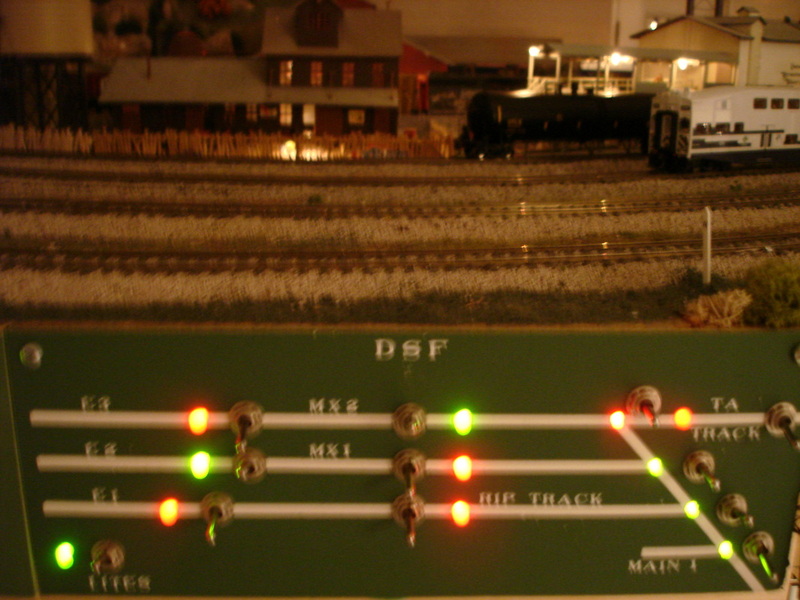 This layout uses DC/Analog control (I made the jump to DCC on the module). For anyone who has wired a layout DC, you know how painstaking it truly is. As the layout changed, so did the panels. 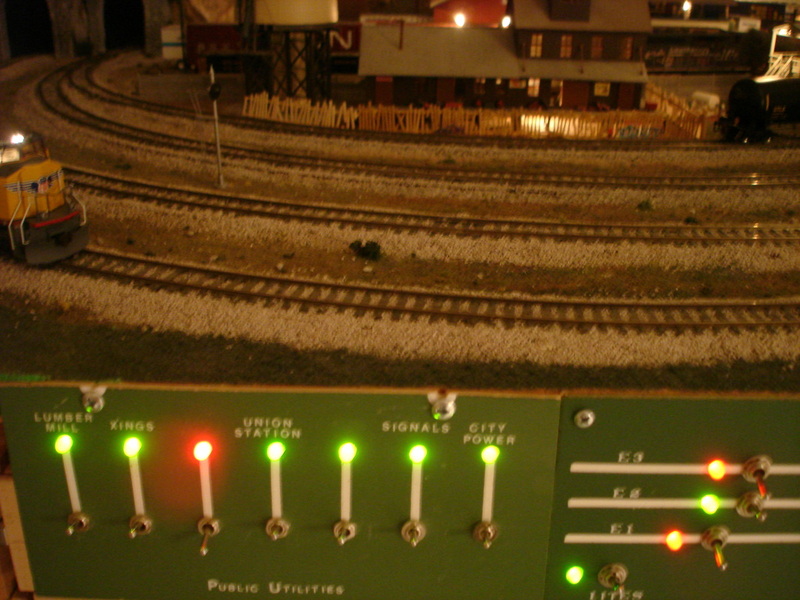 There are currently four panels that control the railroad. 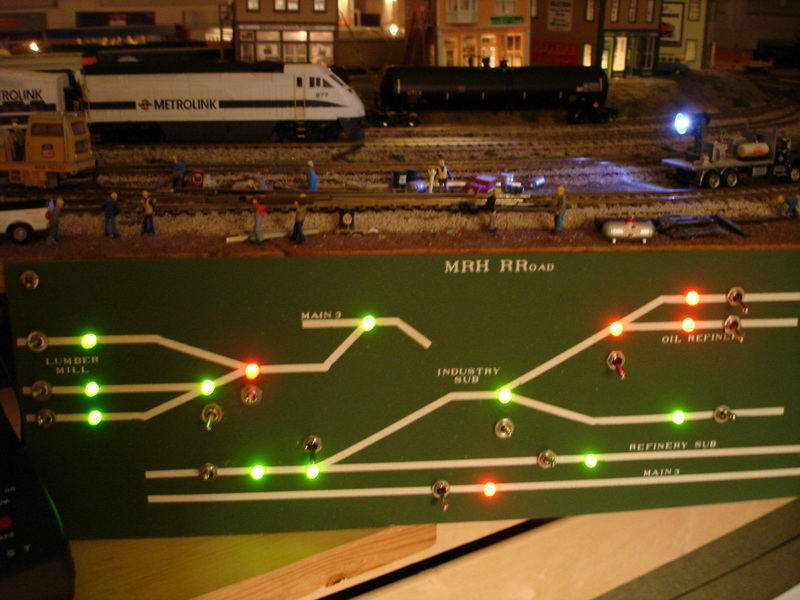 The first panel shows the whole layout minus the industry sidings. A red LED signified a dead block and a green LED represents a live block. 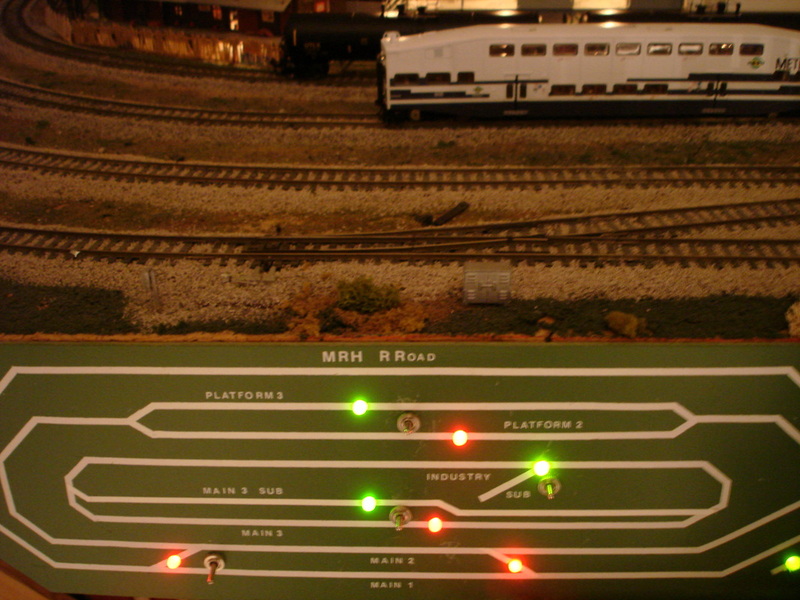 At a turnout, red means that the train will diverge from the current track and green means that the train will continue to go straight. In the case of this panel, “Main 3” and “Main 3 Sub” as well as “Platform 2” and “Platform 3” are special. If the line is green, that means that both the block is live AND the switches are aligned properly. Red means that there is no power to the block and the switches are aligned to the opposite track.